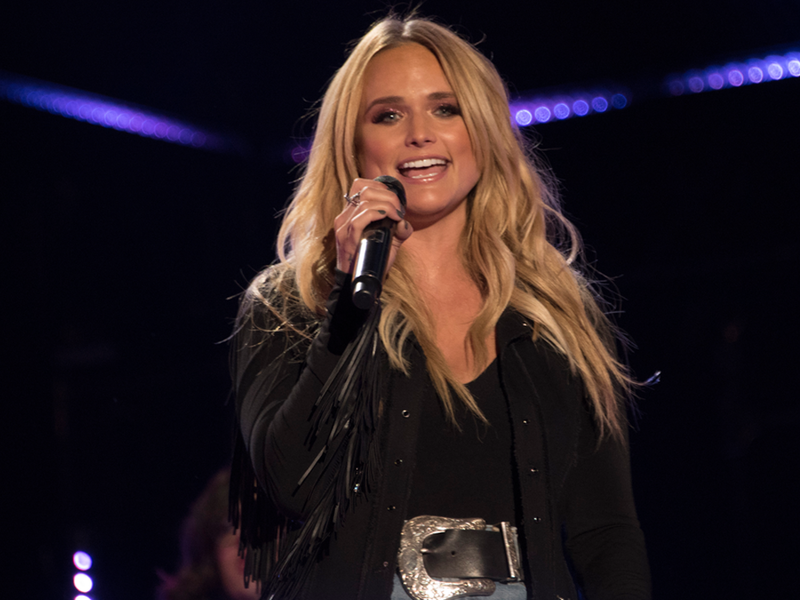 Miranda Lambert is hitting the road this fall for her 2019 Roadside Bars & Pink Guitars Tour—and she’s bringing some heavy hitters with her on select dates, including Maren Morris, Elle King, the Pistol Annies, Tenille Townes, Ashley McBryde and Caylee Hammack. The 26-date tour kicks off on Sept. 13 in Uncansville, Conn., making additional stops in New Orleans, Baltimore, Milwaukee and more. Sept. 13 Mohegan Sun Arena || Uncasville, Conn.
Sept.14 Mohegan Sun Arena || Uncasville, Conn.
Sept. 27 Charleston Coliseum || Charleston, W.Va.
Oct. 17 Fargo Dome || Fargo, N.D.
Oct. 18 Fiserv Forum || Milwaukee, Wisc. Oct. 19 Xcel Energy Center || Saint Paul, Minn.
Oct. 24 TaxSlayer Center || Moline, Ill.
Nov. 9 Amway Center || Orlando, Fla.
Nov. 21 VyStar Veterans Memorial Arena || Jacksonville, Fla.
Nov. 22 Infinite Energy Arena || Duluth, Ga.
Nov. 23 Greensboro Coliseum || Greensboro, N.C.